Open Grain Mahogany 16" X 20"
Athenian Distressed Silver Frame 16" X 20"
The canvas print is 16 Inches wide and 20 Inches tall. 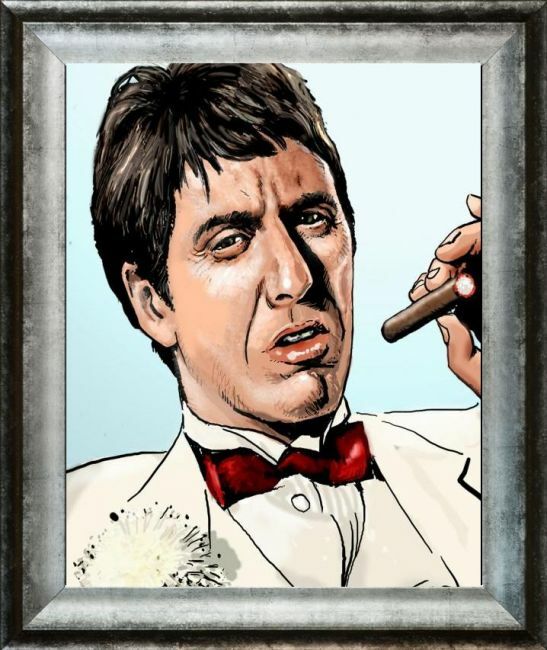 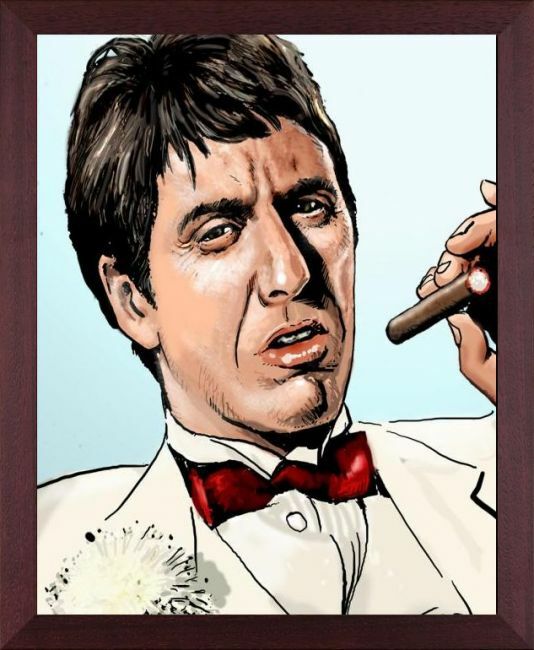 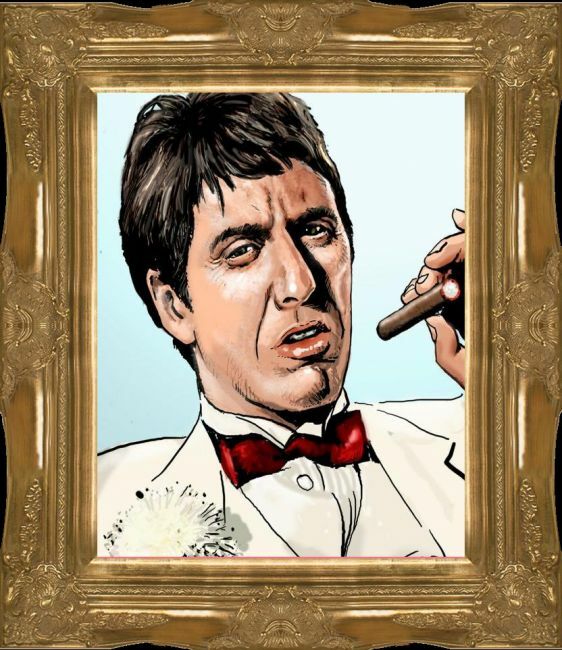 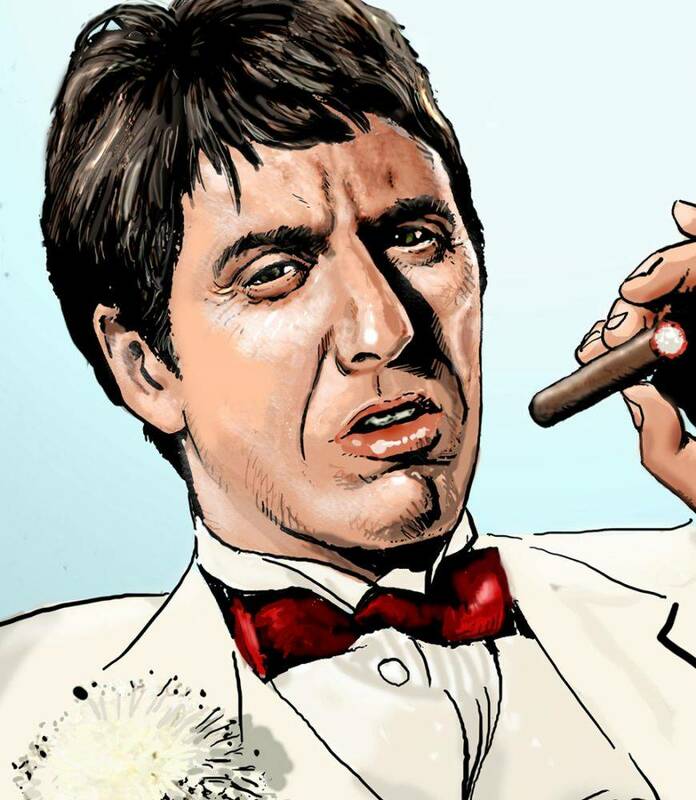 Print Size: Customary 16" X 20"
Pop art print of Al Pacino from the movie Scarface. 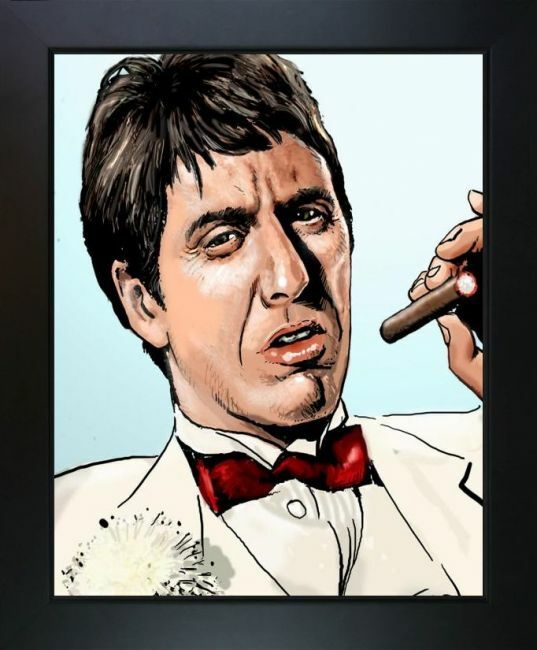 Color Palette for MONTANA is empty.